There’s something completely captivating about a time capsule car. It makes you wonder: why didn’t anyone drive it? Where has it been sitting all these years? And it’s especially compelling toÂ find a time capsule example of a model that you don’t see on the roads anymore. 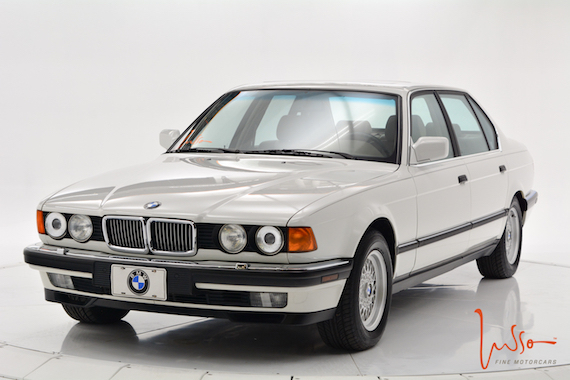 The E32 generation 7-series is such a car: very few of these are left, with most having been retired to the junk yard. Unlike Mercedes-Benz cars from the same era, they just weren’t really built to last. 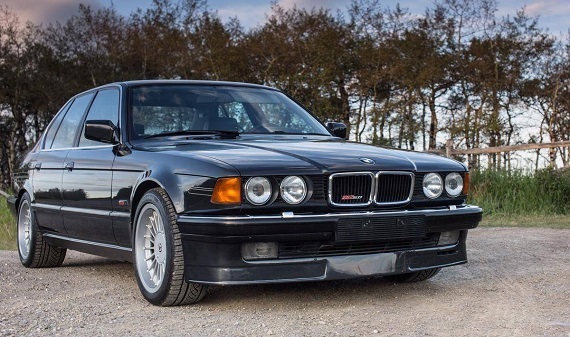 Which is a shame: the E32 is a big old bruiser, with classic boxy styling based upon traditionalÂ BMW design language, with angular kidneys and four round headlights. The 750iL was the plutocratic range topper, powered by a 5.0 liter, V12 motor. Do you only have $7k to spend on a car? Do you still want to look like a BOSS? 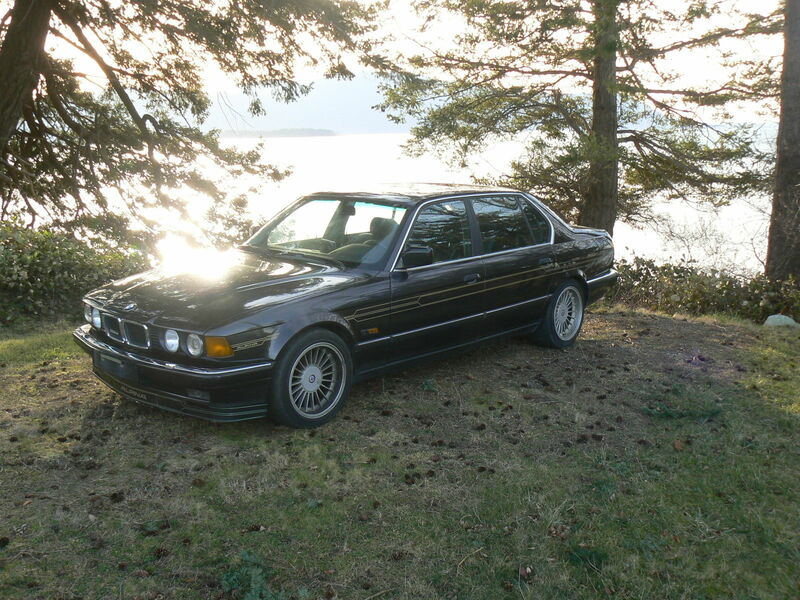 Then you should buy this E38 750iL. That is, of course, after you’ve putÂ it through a PPI to make sure it isn’t about to grenade, and talkedÂ with your bank manager (slash significant other) to check youÂ can afford the fuel and maintenanceÂ on this V12-powered cruise missile. 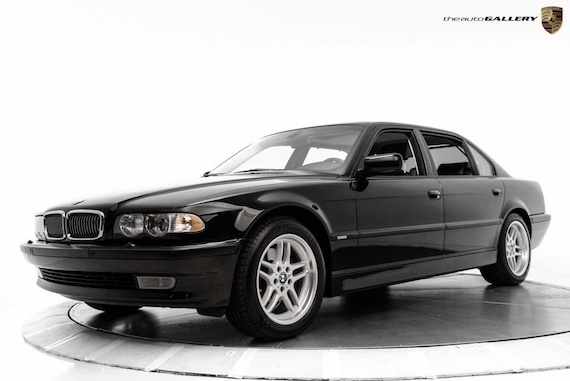 The long-wheelbase E38 7-series is a real bruiser and a looker, especially in black: a behemoth in a bespoke suit. And while the electronics on BMW’s V12 motors are notoriously expensive to fix when they go wrong, the 5.4 liter SOHC M73 engineÂ itselfÂ is fairly reliable. While power output at 320 hp is relatively modest for such a large lump, there’s plenty of low-down torque, the unit doesn’t suffer from the timing chain/guide failures that afflict V8s from the same era and, according to some on the forums, even manages to return a reasonable 24 MPG on the highway. That’s pretty incredible when you think about it. TheÂ relatively puny M50 six cylinder in my E34 only manages a few more than that. 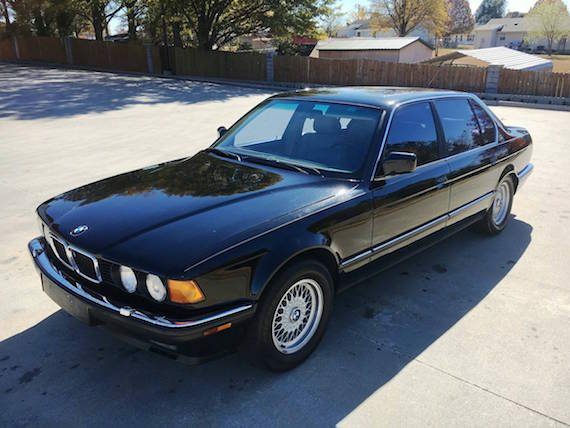 The E32 750iL isÂ a bucket list sort of car. You know you probably shouldn’t buy one. But life is short and soon you will be dead. So why not? Everyone should own a V12 at least once in their lives. This may be one of the most affordable ways to do so, at least in terms of initial outlay.Â The E32’s design has aged well, and stillÂ commands an imposing presence when seen on the road today (an admittedly infrequent occurrence, since many now reside in junk yards). Taut, handsome, brutish and much more modern in appearance than the W126 S-class, theÂ flagship was the 750. Available only in long-wheelbase iL form in the US, it was powered by the 5.0 liter V12 M70 motor also to be found in the 850i, good for about 300 hp. The engineÂ itself is fairly stout. It’s the electrical components and control modules that will kill these cars. When they fail, they are absurdly expensive to replace. For that reason you can buy these cars very cheaply. Last weekÂ I wrote up a clean and low-mileage E32 740i, noting that examples of this generation of the 7-series rarelyÂ come to market in such decent shape. A few days later, Carter shot me an email with a link to this lovely looking ’88 750iL. The flagship of the E32Â lineup, and available only in LWB form, the 750 was powered by a hulking 5.0 liter V12 unit, essentially two six-cylinder motors stuck together. They crop up from time to time on Craigslist and on eBay, but mostly as basket cases, with shot exteriors, torn up interiors and numerous electronic and mechanical gremlins. This car, on the other hand, appears to have received the kind of love and attention that these old cruisers really deserve. I was quite lucky as a teenager to have some pretty serious metal from Bavaria to cut my teeth on. My father had gotten quite into 1980s BMWs, so we had a few 6-series and even a M5 in the house. But it was the “family” car that I liked the most, believe it or not. 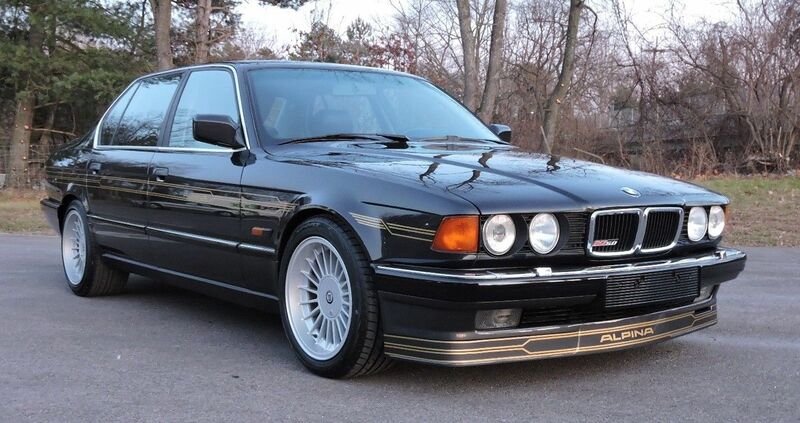 That family car was a pretty special one as it was an E32 735i 5-speed. The manual in the large body car might be a bit of an aberration, but as a whole package the E32 was a great car. It was fantastic to drive and felt much lighter on its feet than the size would indicate. It was comfortable, too, in either front or back posts, with rich smelling leather, a modern climate control system and a great sounding stereo. It was a car which ate up highway miles with ease, and outside it was quite a looker, too. It managed to look both more substantial and much better proportioned than the E23, finally integrating the mandated bumpers well into a design that was market leading. In fact, the only area I ever really felt our E32 could have used some help in was to have a bit more motor. 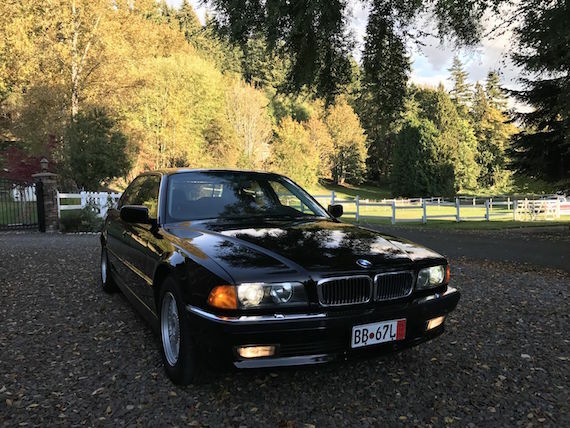 I’ve featured quite a number of BMWs over the past week, but none of which are quite as impressive and imposing as this 2001 750iL with an incredibly low 12,000 miles on the odometer. 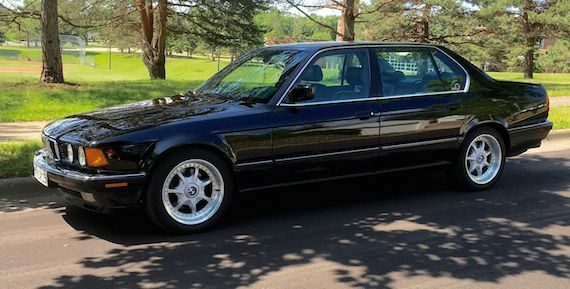 This final year V12 powered E38 is, for the, the stuff dreams are made of. BMW nailed it with the styling on this executive express, made even more attractive with the Style 37 M Parallel wheels. This car also has a bit of celebrity status attached to it, having been owned by the singer Steve Perry since new. Still lamenting the direction 7 series styling has gone in the last 15 years? 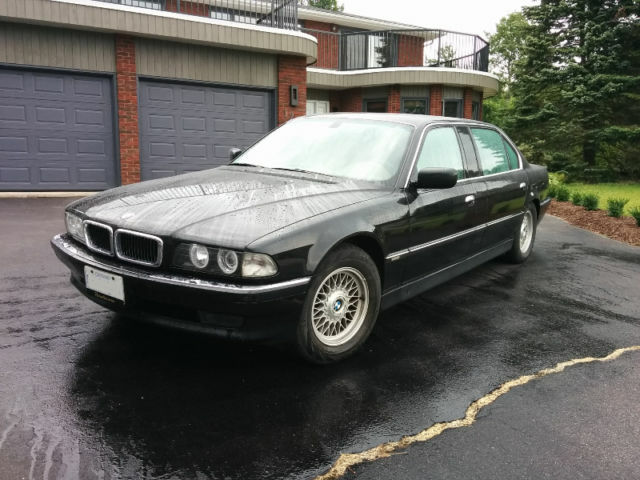 Here’s another chance to own an almost new E38. Well, folks, I have a new all-time favorite E32. Last time I made that claim it was a beautiful black on black example with M-Parallels and a nice front spoiler. I’ve long been a fan of Alpina’s recent B7s and think they’ve made the last two generations of 7-series much more attractive. 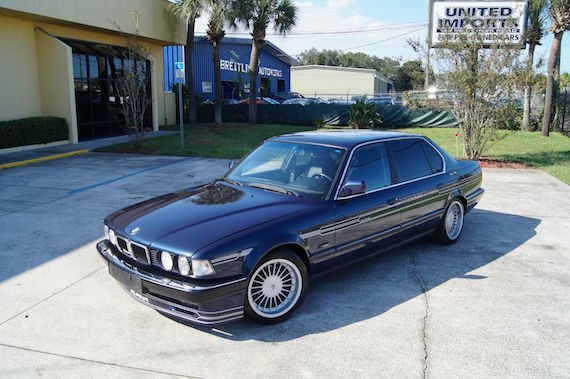 Same thing here, with the often-frumpy E32 getting the full Alpina treatment with more power, a great front spoiler, and the classic striping. And the wheels, the evergreen, always gorgeous 20-spoke wheels. The 5.0-liter V12 gets much more than just a chip treatment, with higher-compression pistons and lots of valve work bringing the power from 300hp to 350hp. Lots of show, lots of go, this is a kickass 7-series.